According to news reports on radio this week, Kenya is rapidly becoming one of Africa's leading technology-driven economies. The impressive Konza Technology City project is planned to be a world-class technology hub and a major economic driver for Kenya. Clearly, the Kenyan Government, in difficult circumstances, sees that the future for its citizens will be enhanced by technology. Good for them and I hope that it works out well for not just the people of Kenya, but everyone in Africa. Of course, one of the things that Kenya will need to do to support projects like Konza, is to prepare its children for a modern economy. 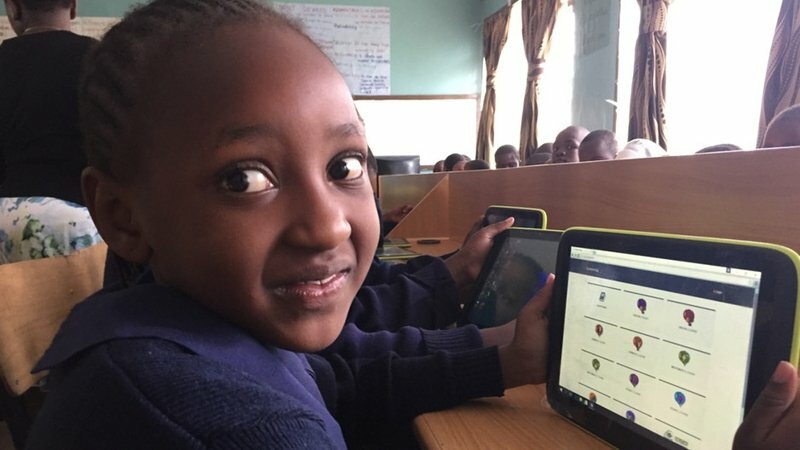 Will Goodbody of RTÉ tells us this week that there is an initiative in Kenya where "every child starting school gets a tablet is giving children there an opportunity to catch up with their digital peers internationally" - a simple (though not novel) idea. This is a project that has resulted from an election promise being delivered (now there's a novel idea!). In total 1.2 million tablets will be delivered to 24,000 primary schools in Kenya at a cost of about €150 million. In a country with ten times (44 million) the population of Ireland (where our education budget in 2016 is just over €9,000,000,000) - this seems to be fantastic value for money. I wonder of the Kenyan Education Minister would like a job here?